The full range of nasal and sinus disorders are treated through this office, ranging from “simple” sinusitis to disorders requiring surgical treatment. Sophisticated equipment such as fiber-optic telescopes and an endoscopic video imaging camera allow us to diagnose and treat our patients’ problems. When indicated, state-of-the-art endoscopic sinus surgery is offered. Common symptoms of rhinitis include congestion or nasal stuffiness, mucous drainage, headaches and pressure in the cheeks, forehead and around the eyes. Nasal inflammation can result from both allergic and non-allergic causes, resulting in chronic nasal congestion and drainage. Diagnosis requires a thorough head and neck examination and multiple medical treatments are available. Nasal congestion or difficulty breathing out of the nose is a common problem. This can be caused by nasal inflammation from allergic or non-allergic causes, pressure changes or structural blockage from nasal polyps, septal deviation or turbinate enlargement. For nasal inflammation, several medications are available. When nasal obstruction is persistent, evaluation for structural blockage should be performed. Surgery is a frequent option to improve breathing. 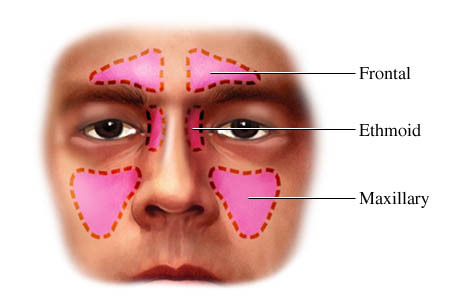 Rhinoplasty is performed through incisions inside the nose. This allows the surgeon to sculpt the cartilage and bone to improve the shape of the nose. Improvement in the appearance of the nose is the goal. Rhinoplasty is done under general anesthesia. Nasal fractures are a very common injury. Broken noses can frequently be repaired with no incisions by repositioning the bones. Common symptoms of sinonasal problems include congestion or nasal stuffiness, mucous drainage, headaches and pressure in the cheeks, forehead or around the eyes. These symptoms can result from chronic sinus infection, nasal inflammation and allergies. A thorough examination including endoscopy assists with appropriate diagnosis and allows us to select the best treatment options. Additional tests including cultures and CT scanning may be indicated. A variety of medical and surgical treatments may be available, depending on the nature and severity of disease. Sinus surgery can be a highly effective alternative when medical therapy is unsuccessful. Procedures are generally performed on an outpatient basis and are done endoscopically (without external excisions). In most cases, nasal packing can be avoided. Stereotactic image guided surgery and Balloon Sinuplasty may be utilized for certain cases.